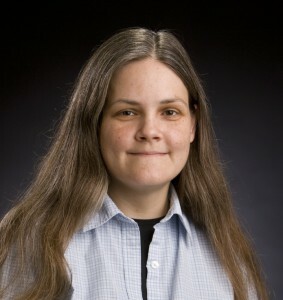 Juliana Nykolaiszyn joined the Oklahoma Oral History Research Program at the Oklahoma State University Library in May 2007. From interviewing narrators to processing oral history collections, Juliana’s work involves not only the creation but preservation and online access of oral histories. She serves as an interviewer on several oral history projects including the Inductees of the Oklahoma Women’s Hall of Fame,Oklahoma Centennial Farm Families, O-STATE Stories, and the Spotlighting Oklahoma series. In addition to interviewing, Juliana works closely with oral history processing and is involved in making materials available online, primarily through CONTENTdm and other web-based efforts.